This 2,500 square foot single family home on a corner lot has 5 bedrooms and 3 full bathrooms. There is a large master bedrooms with 2 walk-in closets on the 2nd level. Hardwood floors throughout, built-ins and central air. The kitchen is fully updated as is the upper level bathroom. There are hardwood floors on the upper level, a gas fireplace and a new addition in the front (opened up what used to be the porch). Fabulous location on a quiet street. Walk to Rose Garden, Lake Harriet, shopping and cafes. Directions: 35W to 46th Street. Go West of 46th Street to Colfax. Go north 2 blocks and the house is on the left. I was searching for a Property and found this listing (MLS #5204280). I would like to schedule a showing for 4400 Colfax Avenue S Minneapolis, MN 55419. Thank you! I was searching for a Property and found this listing (MLS #5204280). Please send me more information regarding 4400 Colfax Avenue S Minneapolis, MN 55419. Thank you! Listing provided courtesy of Re/Max Prodigy. 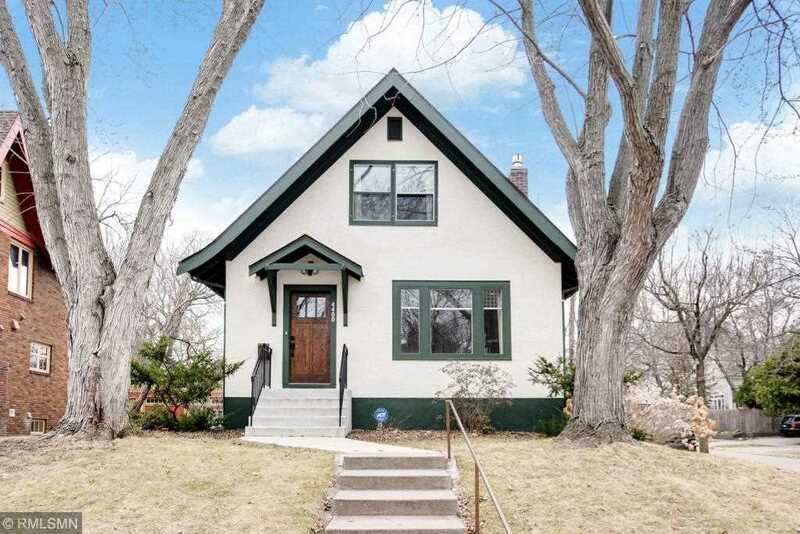 MLS® 5204280: This property at 4400 Colfax Avenue S, Minneapolis, MN 55419 is located in the East Harriet subdivision and is listed for $577,000. MLS® 5204280 has been on the market for 13 days.